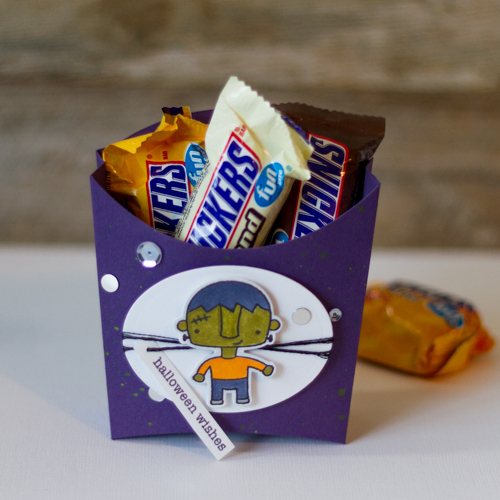 Isn’t this treat box just adorable? Halloween – my favorite season for crafting is upon us!! Today, I’m sharing a CUTE treat box that is fast to make if you are looking to make many…or not. This is such a “treat” to make for your favorite trick-or-treaters! 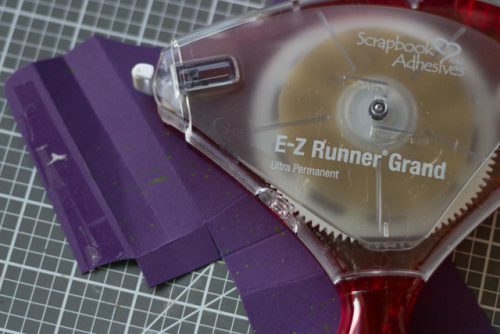 For ANYTHING that involves paper construction like a box/bag/container, I use the E-Z Runner® Grand Ultra Strong. It’s a clear double-sided tape and because it holds like nothing else, it earns the name ULTRA Srong. It’s initially tacky and strong, there’s no need to wait for it to hold strong. 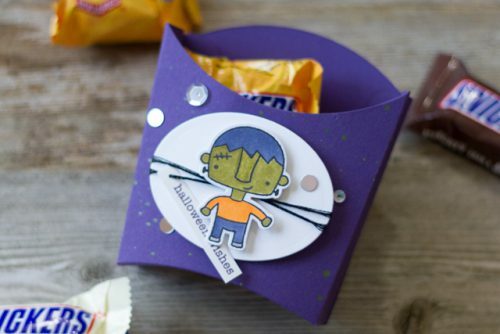 Before you assemble your treat box, spritz with some fun spray ink to add interest and an extra bit of color. Then stamp and die cut your cute little characters and sentiment on white cardstock. 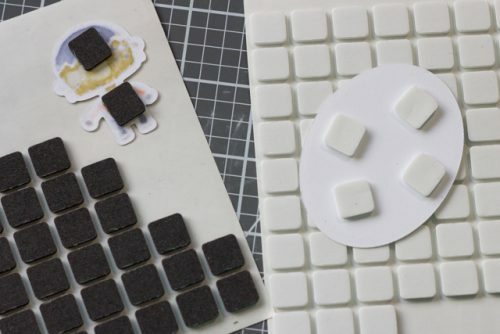 This entry was posted in 3D Foam Squares, Adhesive Dots & Lines, Adhesives, Crafts & Tutorials, E-Z Runner® Grand, Fall, Gifts, Party Favors, Seasonal Craft Ideas, Tutorial and tagged 3D Foam Squares Mix Black, 3D Foam Squares Mix White, 3D Foam Squares Regular Black, 3D Foam Squares Regular White, Adhesive Dots Micro, AJ Otto, E-Z Runner Grand Dispenser, E-Z Runner Grand Ultra Strong Refill, Halloween, My Favorite Things, Treat Container, Tutorial. Bookmark the permalink. 2 Responses to "Halloween Wishes Treat Box"
Love that there are black 3D squares. So adorable little boxes !